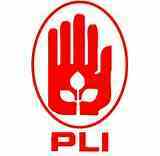 Home » Useful info for All » How to get Customer ID and Password for PLI/RPLI online access? How to get Customer ID and Password for PLI/RPLI online access? Dear viewer if you have not registered your Mobile Number and E-mail ID to your Policy you have to follow the Steps. 1. Write an application to your concern Post Master (Head Office) to update your Mobile Number and E-mail ID to your Policy. 2. Enclose three document with application form. 4. Send the application to the Post Master with Register Post. Within 15 days you have received a confirmaton mail that your policy has been updated. SEE THE INSTRUCTION FROM BELOW IMAGE..
you can also download full image from below link....click below link to download image..